Standard E27 LED (240V) replacement bulbs. This is as simple as it gets! 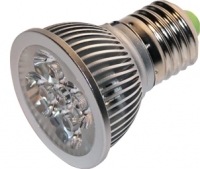 Simply take out the old E27 bulb and pop in the new LED replacement! Metal heat fins and design ensure outstanding heat dissipation. Proprietary power design assures stability and endurance. Multiple international safety certificates and patents.